My education and upbringing have been influential in how I think. In particular, my background in jurisprudence (legal philosophy) helped me discover that, ultimately, our laws are anthropocentric in nature. We might have environmental protections enacted in laws across the world, but ultimately the primary aim of laws is to govern the relationships between people, without sufficient regard to the impact human activity has on the surrounding environment and other animal species we all very much depend on. The upbringing my brother and I had also helped us become very conscious of what we eat, with emphasis on organic produce and wholesome foods. Personally, I see business as an effective vehicle for changing people’s values and habits for the better, and ecology has been a key priority for me as I feel our beautiful environment is being taken for granted. 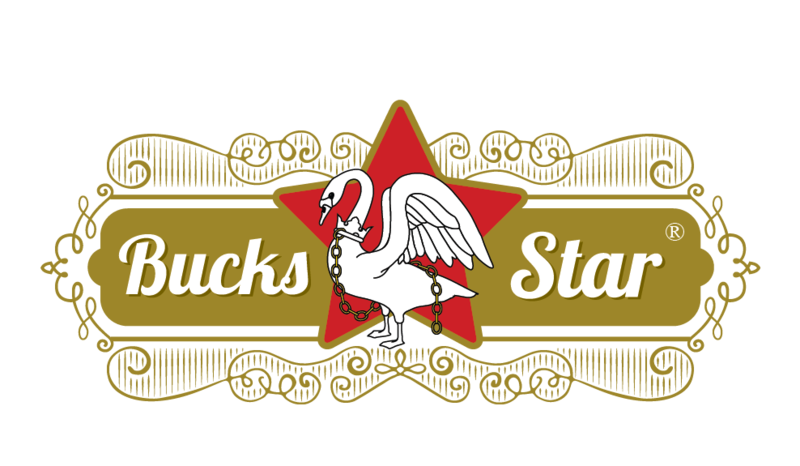 It so happened that in 2013, my curiosity for real beer led me to take steps towards opening an ecological microbrewery, the name for which was immediately obvious: “Bucks Star“! From the start, it was clear to my brother that in brewing our pure beer, we should avoid the use of finings made from isinglass (fish bladder) and use organic ingredients wherever possible. In fact, our initial strapline advertised everywhere was “Unfiltered and Unfined”. Soon after, Guinness announced that after over 256 years of using isinglass, they were going vegan-friendly. In 2016, the microbrewery was affected by a neighbouring fire, closing it down for nearly 2 years for the insurance company to carry out the building reinstatement. It was during this period that we made a decision to end our single-use offering and focus primarily on our zero-waste scheme, which we built around our reusable glass vessels called Growlers. It made no sense that people should pay for packaging every single time they make a purchase. People also pay for the means of disposing of that waste, and we will all pay the price for a degrading environment. We envisioned and formalised “Growler Swap” as the alternative, designed to address all these inefficiencies. It was not until the start of 2018 that we managed to return to the microbrewery and restart operations. During this past year, we have learned very much by pioneering our Growler Swap innovation. There is a huge educational effort to make people aware of what Growler Swap is about, how it works and, above all, why we are heavily investing in this reuse scheme. Another obstacle is access to ordinary shops and retailers. Growler Swap is based on the idea that you return your empties and Swap for fresh Growler-conditioned beers, whilst moving away from the convenience and expensive waste of single-use containers. You pay for packaging once only! We charge no extra for packaging the first time you buy, i.e. you pay the same amount for our Growlers as for disposable glass bottles – in fact, about £1 more only. You can then sell us your empty (one of ours or another company’s) for that £1 if you wish or, if you Swap it for another, any 1L/2L empty will get you £5 off the Growler of your choice, meaning you pay £0 packaging every time! We can of course not buy empties outright for £5, as they are of no use to us unless we wash, and refill, them – which we are able to do (free) in exchange for your return custom! The challenge has been tremendous and is not likely to ease anytime soon, but it is very rewarding when customers who support us appreciate what we are doing and always return with encouraging words whilst recommending us to friends. We might be ahead of the curve, but you can be too! Why do we avoid filtering our beers? Brewer’s yeast is an ingredient used in the production of beer and bread. It is made from Saccharomyces cerevisiae, a one-celled fungus. Brewer’s yeast has a bitter taste. Brewer’s yeast is also used as a nutritional supplement. It’s a rich source of chromium, which may help your body maintain normal blood sugar levels. It is also a source of B vitamins. Brewer’s yeast is considered a probiotic and is used to aid digestion. What does brewer’s yeast do? What are the benefits of brewer’s yeast? Brewer’s yeast can provide energy and may help maintain healthy skin, hair, eyes, and mouth. It may be effective at supporting the nervous system and enhancing the immune system. The chromium in brewer’s yeast may help control sugar levels for patients with type 2 diabetes by improving glucose tolerance. Brewer’s yeast is a source of B vitamins but it does not contain B-12. Inadequate amounts of B-12 can cause anemia, so it’s important to make sure you have sources of B-12 in your diet. You are advised to verify the information for yourself. Please consult a health specialist if you have any concerns or experience any pains as a result of taking brewers yeast. 20 months after the fire which affected Bucks Star Brewery, the roof on the building has now been replaced and internal works are taking place to have the brewery reopened for the New Year. The Founder of the brewery, Datis, says the challenges of the past 20 months have not only served to strengthen the character of the business and it’s offering, but have also revealed how supportive members of the community have been during this time, especially those who have bought into the Growler Swap initiative. This initiative is the first of its kind and means two things: zero waste and fresh, local beer. We very much look forward to seeing customers, old and new, in 2018, and to the brewery becoming a hub of great conversations and memories, and perhaps the start of an important zero-waste movement propelled by Growler Swap and great artisan beers. The New Year will also see the launch of a separate Growler Swap website which will allow customers to place orders online for same day delivery of fresh beer to their home. Please go to our events page to see where you can Swap this month. We’re so pleased that our head brewer and founder, Datis, is a finalist amongst other leading Entrepreneurs from around the Country at the SME National Awards, being held at Wembly Stadium on 1st December! Growler Swap, an innovative, eco-friendly scheme, designed to reduce waste and environmental destruction whilst making purer and better quality beers more accessible to discerning drinkers, is what has set our founder apart and secured him as a finalist in the business awards. MK’s beer drinkers saving the planet – one growler a time! Our head brewer’s view on the issues facing real ale. Festival organisers on a mission to nurture localism, sustainability and well-being, starting in Stony Stratford on Saturday, June 3, 2017. In the 50th anniversary of the founding of Milton Keynes, Datis Gol, one of the team behind Bucks Festival, said the city needs to become more tuned in to local businesses so it can reduce harm to the environment. Vacancy for a part-time, male or female graduate trainee brewer. A rare opportunity to work for local, multi award-winning and ecological brewers, Bucks Star Beer. This is an opportunity to be given training and to work in a dynamic environment on flexible terms. Candidates with a background in brewing technology, microbiology, chemistry or engineering will be given preference. Presentation, hygiene and good communication skills are essential. Role requires candidate to be self-motivated, to use their own initiative and have a versatile approach to work. Must be comfortable speaking with customers and familiarity with the business ethos and core values will place them in good stead.